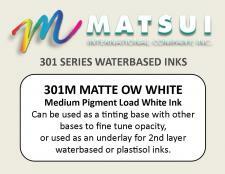 301M Matte Binder is a semi-opaque mixing base that has a milky appearance. It is primarily used in mixing with NEO Color Concentrates for creating custom colors, but can also be used as a primer underlay for those mixed semi-opaque colors. 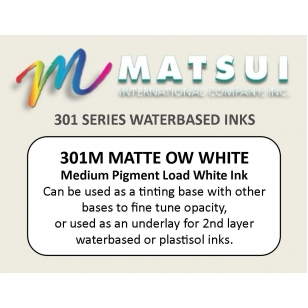 Matsui 301M OW Matte White 5.0 Great for Tonal Printing 09/09/2016 By Triple Stamp Press We use Matsui Matte White in all of our Tonal printing. 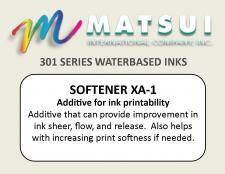 It can also be utilized as an effective color mixing tool.